In MyMailbox (IMM) is a weekly feature organised by The Story Siren. 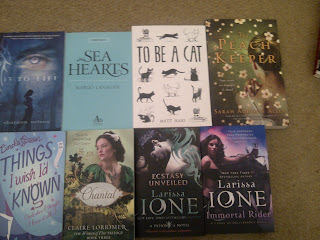 IMM is a post where you can show which books entered your house and it also gives you a chance to say thank you to the people that kindly sent them. To find out more about how you can join in click here. Watch Over Me by Daniela Sacerdoti - thanks Daniela. 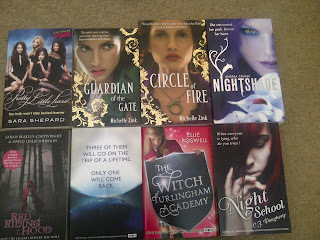 All the books pictured above were picked up at the Atom Blogger Event. Thanks to everyone who sent me books. I don't know where to start! Ooh, you got Everneath! Can't wait to read that one. 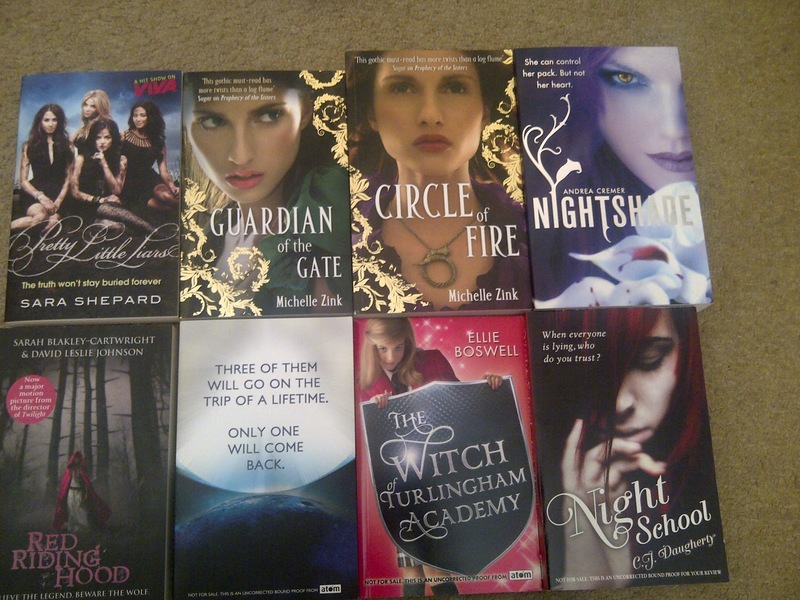 ^_^ While I love the TV shows for PLL, I coudn't actually get into the books. My goodness what a full mailbox you have, happy reading. Wow, I bet you don't know to start! What a great haul. I hope you love them all! OMG that's a lot of books! No wonder you don't know where to start - I wouldn't either. I am looking forward to The Storyteller being released - it sounds awesome! 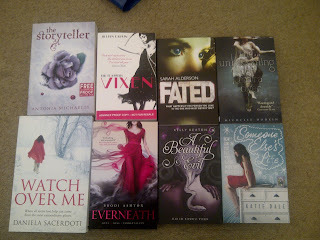 Sweet collection of new books! I like those covers. Especially the ones in that first batch.